The day is finally here. The last day in the LEXTOBER series. This is my last post of this spooky month. Where did October go!? Guys, I really can not believe it’s over. Ah, I am so happy I decided to create this series here on my little corner of the internet. It was so much fun to be so involved and active with Y’all. I can not thank you guys enough for stopping by every other day throughout this past month. Your love and support mean everything to me. I have been planning this last blog post for quite some time now. I wanted to share with y’all THE best sweater. I’ll call this one the LEXTOBER sweater or the Halloween sweater because as soon as I saw it on my virtual shopping trip, I knew I needed it to be in my closet and needed to be shared with Y’all. This sweater overthrows my favortie fall sweater for last year and I know you’re all going to love it and these fall photos. Without further ado, let’s hop right into the last LEXTOBER post of 2018. If you do anything this fall, get yourself this sweater. It pairs perfectly with jeans or leggings. I grabbed a cheap pair of black Forever 21 jeans and you’d never even know. The sweater is thick and warm and perfect for Halloween season into Thanksgiving. The pattern is so unique too, I’m really into plaid and checkered this fall season. I’ve worn it so many times already! Also, you guys can snag it for 20% off with my discount code! As for some spookiness in the last post of the Lextober series, I’m going to share with y’all my Halloween costume that I wore over the weekend. I felt so inspired by my Halloweentown OOTD that I took it to another level and was an actual witch for Halloween! This is such an easy and fun costume to get creative with! So, I cleaned my room, wiped my computer storage clean and I am so ready for the clean slate that is November. I will still be blogging, but after a short break and fewer posts than this month. I plan to use this extra time to focus on myself and getting back into a healthy routine with the gym. I can’t wait to talk with y’all soon and share some healthy tips. I LOVE YOU ALL and thank you so much for hanging out with me for the last 31 days. This has been the most magical October ever and I will miss our conversations. 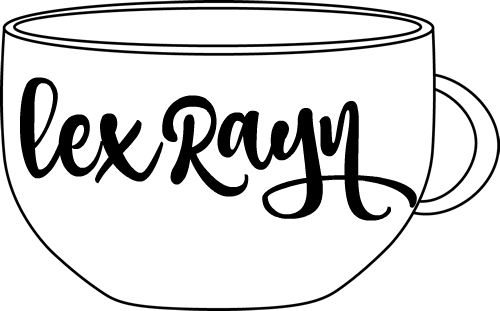 This little series was so successful here on LexRayn.com. With that said, I’m officially going to be doing a 12 Days Of LEXmas countdown in December! Other than that, I hope your day is filled with so much spookiness. I’ll be handing out candy later tonight and getting in my cozy PJs, popping in a good scary movie, and getting myself a good nights rest. Well, friends, That’s all in today’s post. Don’t forget to leave links to your blogs and instas, as I would love to check them out and follow you all and connect more. As always, feel free to shoot me a message with blog requests, to chat, or share a simple comment. Sending lots of love and positive thoughts to you guys now and always. I’ll be back soon. Happy Halloween. Xoxo.